Finance & Accounting | F.H. Black & Company CPA Inc.
With more than 150 years of combined experience, our finance and accounting team have the expertise to evaluate, plan and execute an actionable strategy to ensure every aspect of your financial operations is running smoothly. Our services range from everyday accounting to complete reviews and management of your financial practices. We keep our eye on your bottom line so you can capitalize on new opportunities. Explore our suite of services to find what’s right for your business. Empowered to make sound decisions. Our team of professional accountants will assist you in preparing the level of year-end financial statement that suits your business needs. Our experienced practitioners keep you up to date with relevant financial reporting and related legislative and tax amendments throughout the year, and provide the guidance you need to manage and grow your business. Whatever level of assurance your organization requires: compilation, review, or audit, you can be confident your business is in good hands. A Notice to Reader is the most common type of year-end financial statement prepared for small to medium sized businesses. Our practitioners prepare your Notice to Reader financial statements based on accounting records provided by you, without audit or review of the underlying financial information. Because of the limited scope of compilation procedures, we do not express an opinion or provide any assurance regarding the financial statements. This level of financial statement is prepared primarily for internal management use, although certain financial institutions will also accept them for purposes of satisfying a company’s annual bank reporting requirement. A review is a limited assurance engagement. Our practitioners will perform procedures, primarily consisting of making inquiries of management and others within your business, and applying analytical procedures. Based on our inquiries and analytical procedures, we will express limited assurance that there are no material modifications that should be made to the financial statements. Because a review engagement is substantially less intensive in scope than an audit, we do not express an opinion on the fairness of the financial statements as a whole. Having a CPA review your financial statements adds an extra layer of credibility to your reporting practices. As a result, this level of financial statement is often required by financial institutions for purposes of satisfying a company’s annual bank reporting requirement. An audit offers the highest level of assurance and insight into your business’s financial practices and verifies the information within. The purpose of having an audit is to provide financial statement users with an opinion by the auditor on whether the financial statements are prepared in accordance with the proper financial reporting framework, and are free from material misstatement. An audit enhances the degree of confidence that intended users, such as lenders or investors, can place in the financial statements. As an additional benefit, our auditors may become aware of some deficiencies in internal controls or weaknesses in the organization’s systems, and offer suggestions for improvement in our annual management letter. While you think about the big picture, we manage the small stuff. The story of your business is in the books. To understand a client’s operations, we look for fundamental indicators demonstrated through financial reporting and cash-flows in and out of the business. Our expert CPAs and professional bookkeepers go beyond simple data entry. We analyze your numbers and identify ways to improve your business by saving you money and streamline your accounting/businesses processes. Our quality review procedures ensure your books are accurate, saving you time and money in costly accounting errors. Experience the freedom that comes with knowing you can focus on what owners do best: growing their business. We have many solutions to fit a business’ budget and needs. We can be as involved as your outsourced controller, where we are in your office regularly, managing your finances and helping to make key business decisions. We can also be involved in a much smaller capacity where at the end of the year we are here to recap your business activity and ensure the books are year-end ready! We work with our clients at the front end, and throughout engagement, to determine which level of our involvement makes most sense for their business. We then deliver professionally all the way through. Whether you need daily, weekly, monthly, quarterly or annual support – we can be your solution! We are experts in QuickBooks Desktop, QuickBooks Online and Sage. We also have years of experience with Account Edge, MYOB, Xero, Great Plains and other proprietary software. Whatever accounting software package is best for your business, we can help to install, implement and train/support the appropriate users on the functionality of the software. 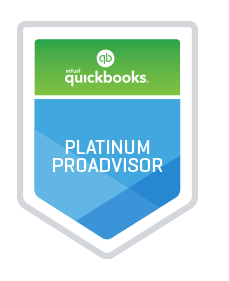 We are QuickBooks Desktop and QuickBooks Online Pro-Advisors. This is our preferred software solution for our clients! 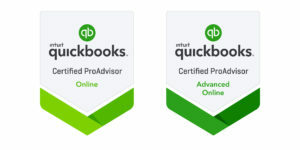 Due to our level of Pro-Advisor with QuickBooks Online we are able to provide our clients with lifetime discounts on QuickBooks Online subscriptions. Managing your accounts receivables and accounts payables can be a cumbersome task that takes time away from other key business areas. Managing these areas of your business however, is fundamental to the operations and overall success of your business. Our team of professionals can take this burden off your hands and give you the piece of mind that your receivables are being collected in a timely manner and your vendors are being managed/paid in accordance with your cash flow. Accounts Receivable – Working with our team can allow you to implement best practices when it comes to invoicing timing/layout, customer communication/follow-up and eventual collection of the money you worked hard to earn! Accounts Payable – Our team can record, manage and pay your bills to ensure you are taking advantage of payment discounts, ensure no products or services are cut-off due to late payments and help to establish a good reputation with all of your vendors. It’s essential to know the status of your bank balance at all times to keep operations running smoothly. We offer bank reconciliation services as often as you require — whether you prefer daily or up to monthly reconciliation. Balancing your books properly allows you to manage your finances and accurately plan for future growth and expenses. FHB can create a cash-flow management system unique to your business. Establishing a system to determine when money comes in and out of the business allows you to plan your expenditures and growth according to predictable cycles. Paying your employees correctly and on time is non-negotiable for any business. 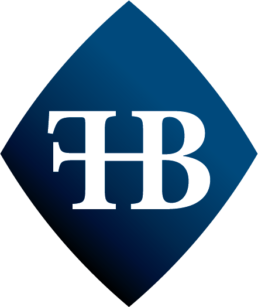 With FHB as a bookkeeping and accounting partner, we’ll monitor your accounts, prepare payments, and streamline distribution to ensure your employees are paid accurately and efficiently. Avoid costly errors in tax reporting with help from our bookkeepers and accountants. We’ll monitor taxes that come in and out of your business, and remit tax to the appropriate government agency (CRA, MB Finance, etc.) on your behalf based on your reporting period. FHB monitors and manages many Tax Remittances for our clients, such as GST/HST, RST, Payroll remittances, and tax instalments. Tax is complex. We make it simple. For business owners and individuals, tax can be complicated. Our seasoned professionals consider your entire overall personal and business situation to ensure you’re leveraging all income tax opportunities. Tax regulations change every year. Having FHB as a partner means you’ll adhere to and leverage the most current standards, while gaining security knowing your taxes have been filed properly. There are many moving parts to filing corporate taxes. FHB’s experts will prepare your corporate return, and assist you in identifying opportunities to minimize the taxes you pay. We also provide advice on how your business transactions may be affecting your overall tax situation. For business owners, personal taxes become increasingly complex. In addition to our expertise in corporate tax, we assist our business clients in filing their personal taxes, ensuring they claim their income correctly and receive the maximum return. Dealing with the loss of a loved one is difficult. File their final return with help from our compassionate team. We’ll ensure their T3 is submitted correctly so you can focus on family. Retirement significantly changes the income you should claim and offers new tax credit opportunities. Make the most of your retirement funds by getting the most out of your claim. If you’ve been selected for reassessment or audit by the CRA, our tax professionals can work on your behalf to negotiate payment terms and reduced penalties. We also handle filing late taxes and adjustments, ensuring you are in compliance with government reassessment protocol.